Package of 48 origami papers. 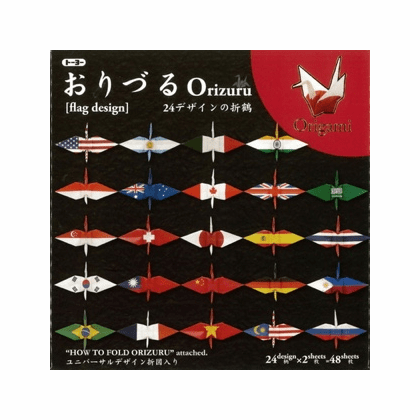 2 each of 24 different counties flag sheets to make crane orizuru. 6" sq. Includes folding crane orizuru instructions.